Fisher Island is a pristine residential island off Miami Beach; residing are the highest per capita income families in the nation. Some of the most famous individuals of our time own the mere 10 Single Family Estate Homes on the island accompanied by 22 condo associations. Unfortunately, surrounding its self with the ocean’s beautiful blue waters not only bring aesthetic delight, but many horticulture challenges as well. Beach sand, possessing no ability to retain nutrients, combined with high sodium levels from salt spray result in a nutrient deficient landscape. We reached out to offer our assistance in delivering the proper nutrients necessary in such a challenging application. We spent the next 6 months executing a comprehensive case study implementing Organic nutrients and amendments to the property. Retrieving soil and plant tissue samples was the first and most important step, in our study. Based on the analysis results we were able to specify which nutrients and amendments needed to be implemented. The lab results provided us with a very comprehensive snapshot of what nutrients were lacking in the soil, allowing us to create a plan of action. Utilizing a method of Fertigation – the slow and steady release of nutrients results in stronger, deeper roots; we distributed Organic fertilization through the irrigation system. This allows for a constant micro feed of the necessary nutrients as opposed to an application only once a month, quarter, or bi-annually. 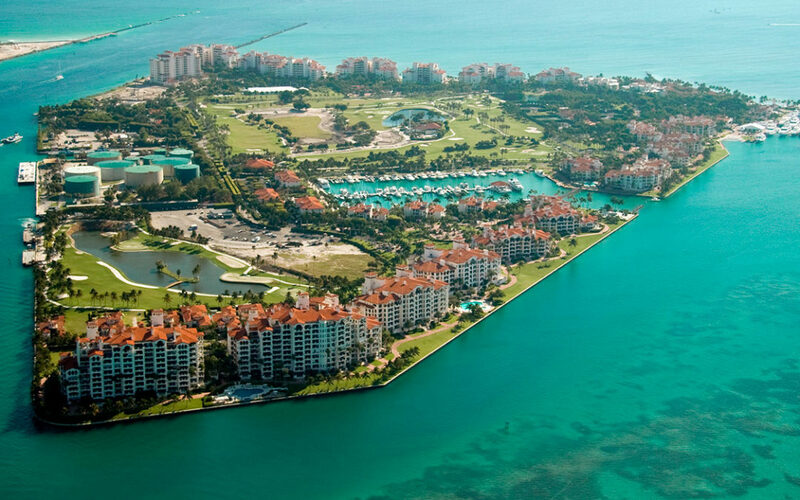 Sustainability is now at top priority for Fisher Island. With the help of Organic Solutions they were able to not only create, but maintain a beautiful lush landscape for generations to come. This program improved the landscape quality, reduced labor, water and chemicals resulting in a huge financial savings for the community. Sustainability once was the future of landscape design, that time, is now.